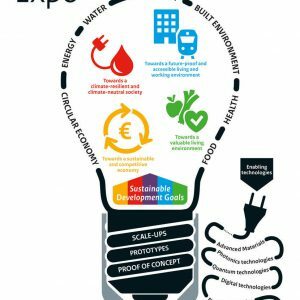 On October 4, ArtEZ Future Makers will present the project Going Eco Going Dutch/Saxcell in collaboration with Saxion at the Innovation Expo 2018 in Rotterdam. The IE2018 is a sample sheet of the most recent and high-profile developments that the Netherlands has to offer. Here Dutch solutions to the major social challenges in the fields of the circular economy, energy, water, mobility, the built-up environment, health, and food, as well as the required enabling technologies will be resented. Taking innovations further, realising breakthroughs, and thus contributing to the social challenges we are facing in our country and in the world. That is the ambition of the Innovation Expo 2018 (IE2018) in Rotterdam. On 4 October 2018, the RDM Submarine Wharf in Rotterdam South will be transformed into one big Living Lab. More information at tickets can be found here.